I originally intended for the Kasatha Technomancer to be my final miniature of 2017 but, true to form for the year, I ended up being on call with the kids and didn’t get enough painting time to finish it. So, instead, it’s my first completed miniature of 2018! 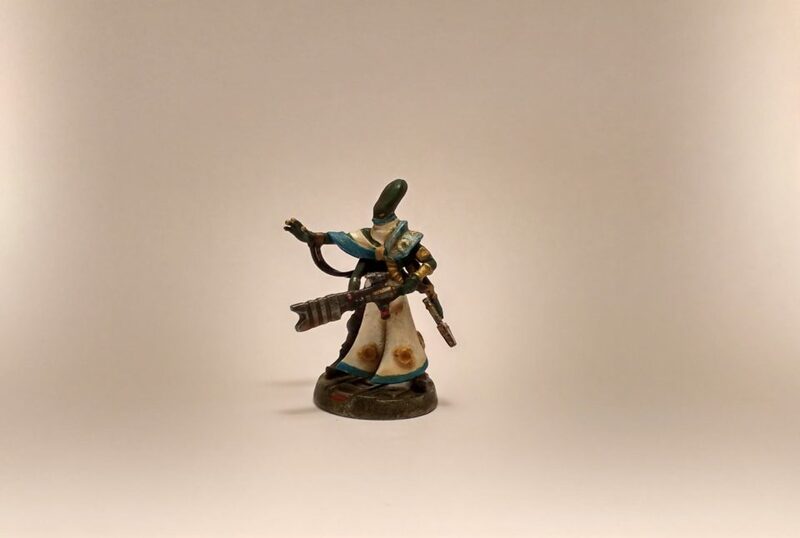 Technically, this is the second miniature from Shapeways that I’ve painted as Hero Forge uses them for 3D Printing but it’s the first that I’ve ordered from their store. 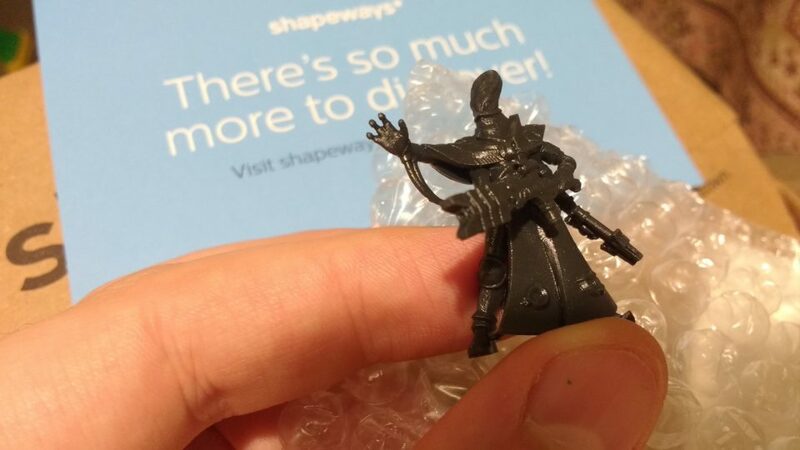 Tip: I left this in my shopping cart and after a couple of days Shapeways sent me a 25% off your first order coupon code. The model was designed by MistwalkerMinis who I discovered on Twitter. This is a fun original miniature with a lot of character. 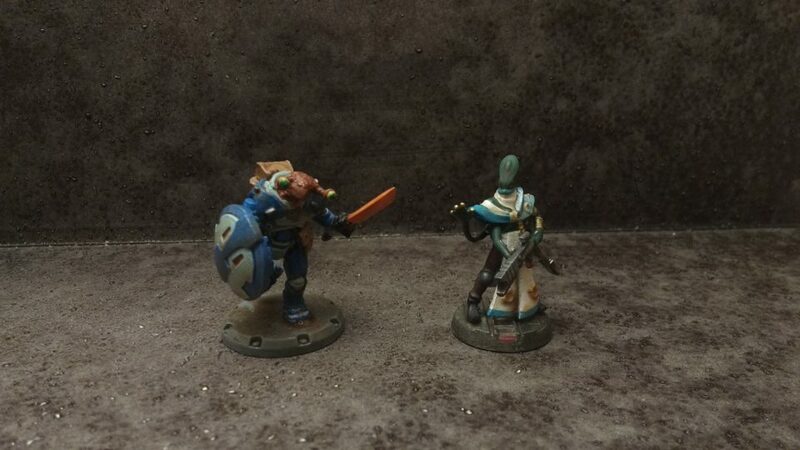 The official Starfinder Masterclass miniatures are expensive, which makes options like Shapeways (which are pricey themselves) more appealing – especially for unusual alien races like Kasathas and classes like Technomancer. Out of the box, the Technomancer had some small support sprues that needed clipped but otherwise was ready to go. The material used – Black Hi-Def Acrylate – didn’t need primed but took well to painting. I have a few options for SciFi bases, including some from Sedition Wars, but I decided to go with a Necromunda base due to the higher quality. This miniature was a joy to paint. The color scheme immediately popped into my head and flowed intuitively. I gave the Kasatha green skin drybrushed increasingly brown with pure brown highlights. 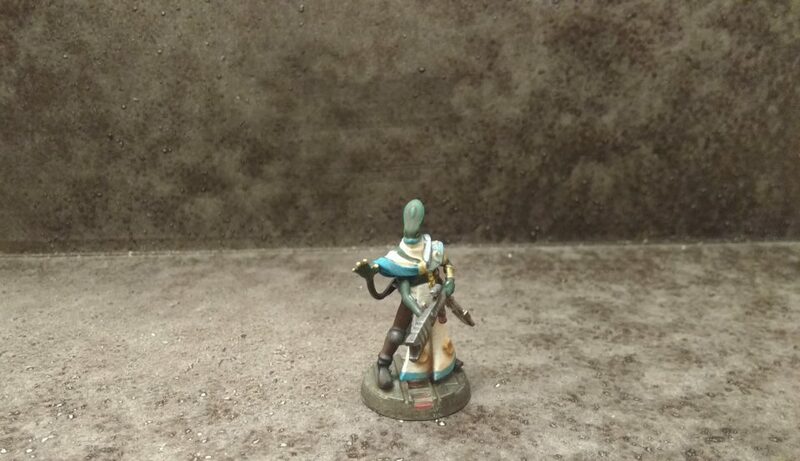 For the robes, I decided to go pure white with turquoise portions – it doesn’t show up as much in the photos but I then went over the clothing with with a light coat of metallic pearl white giving the robes a plastic sheen. I used gold for most of the jewelry and metal decorations. 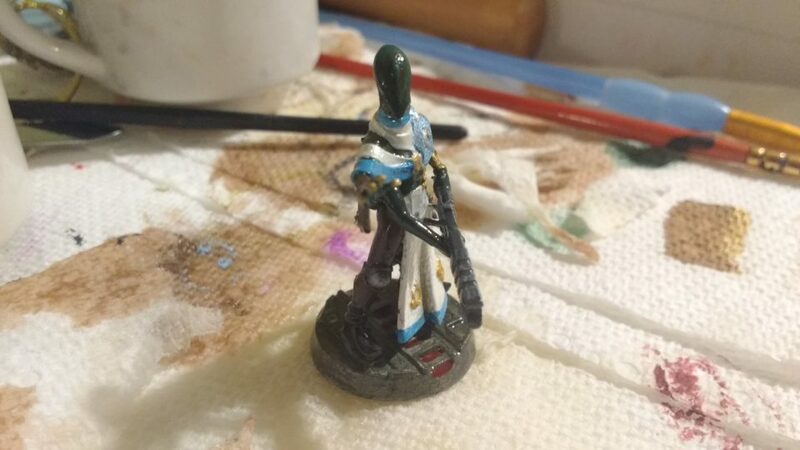 I dipped the Kasatha Technomancer miniature in polyurethane twice for the added protection. Followed by a third protective coat of spray on matte finish. 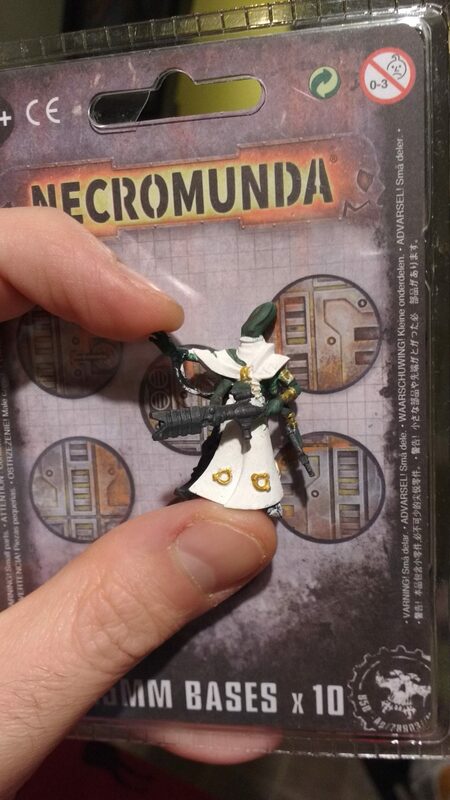 My first miniature of 2018, the Kasatha Technomancer, alongside my last miniature of 2016, Corps Officer Squad Mechanic with Alien Head. I didn’t paint nearly as many miniatures as I hoped in 2017 so I was surprised to see even this much improvement. Edit: Took some new photos now that I have a photobox. Well…that’s an ace mini 🙂 great paint job! Thank you! Mistwalker paid great attention to detail which made it a fun one to paint. I’m looking forward to seeing it in play.